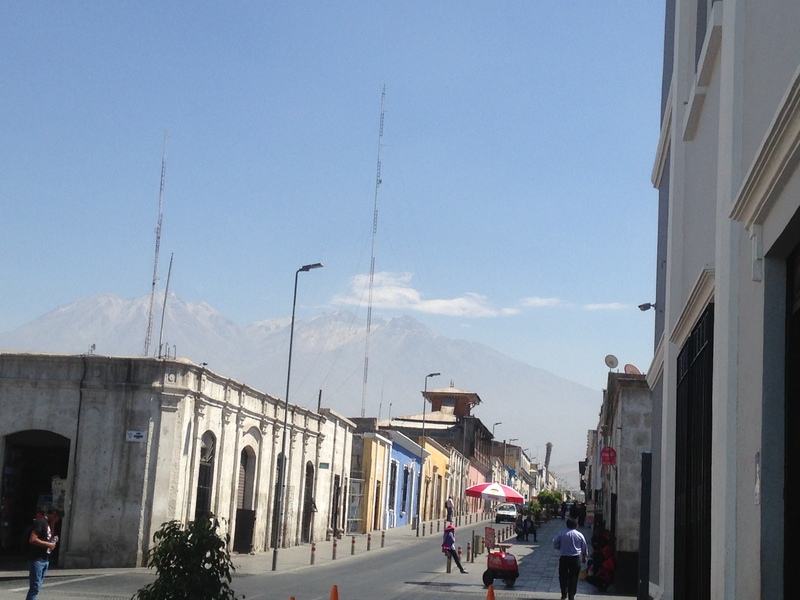 AREQUIPA IS TRULY BONITO (BEAUTIFUL)! Snow capped mountains surround the city and serves as a majestic backdrop everywhere you go. There are several good viewpoints around the city. One famous one is the Sachaca mirador. With only 6 soles, you can climb up a small hill and experience a 360 degree view of the city and its suburbs. With nothing to do, I spent the whole day walking around the city. The Chaqchao chocolate store serves really good hot chocolate, especially yummy during a rainy afternoon. Most of the cathedrals are worth visiting, some of them have decent guides. The food is amazing here and has been so throughout the trip. I am also amazed by the variety of vegetarian restaurants. Today is my ‘free’ day. 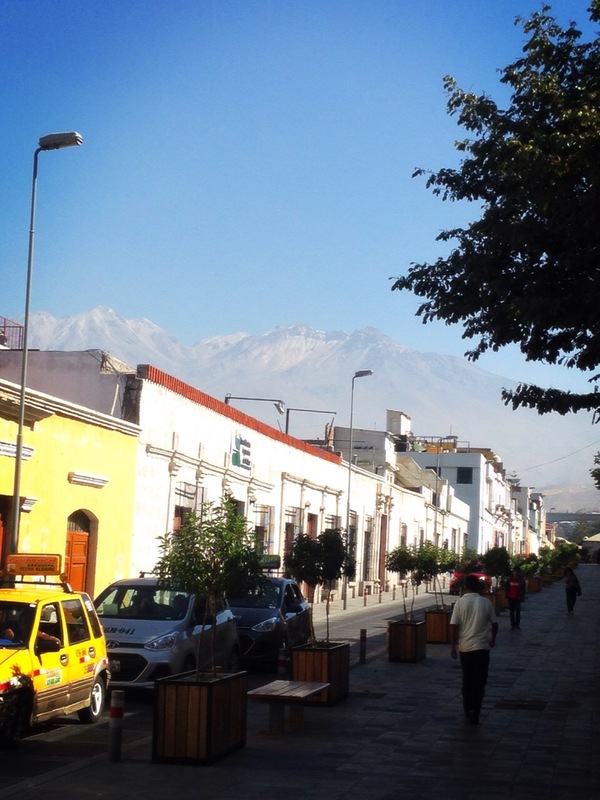 My day to explore and experience the beauty of Arequipa. A beautiful view of the plaza and the cathedral. The mountains serve as a background of the city. Green crosses are quite common here. Trains and cars share the same road in some places. Many taxis in the city area! Wide angle view from the Sachaca mirador.